Dwarf Coins is another new point and click physics based puzzle game from A10. 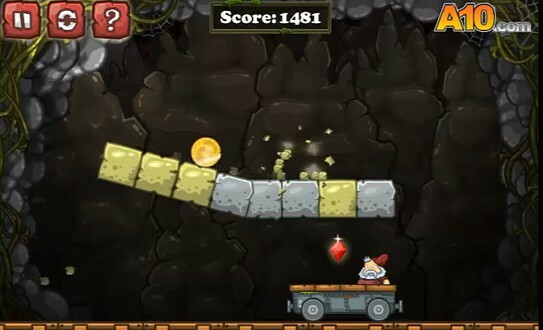 Your objective in the game is get the gold coin to the mining cart in each level. However, there are obstacles in the coin's path which you need to overcome. That is where your cleverness is needed. Break blocks and make use of the other elements such as explosives, conveyor belt and planks wisely. There are thirty levels in this game each presenting a unique kind of puzzle and each of them is more challenging and difficult after the other. If ever you got stuck on it at some point, you can use the Dwarf Coins walkthrough demonstrating how to perfectly complete the game.